Before they paved the way for an easier access to El Nido, it was all about Puerto Princesa. It was a no brainer, almost. Coron is too expensive and El Nido is practically impossible unless you’re an A-lister. Puerto Princesa was the easier choice. After all, it is the jump off point to reach the world famous Underground River. But times have changed. 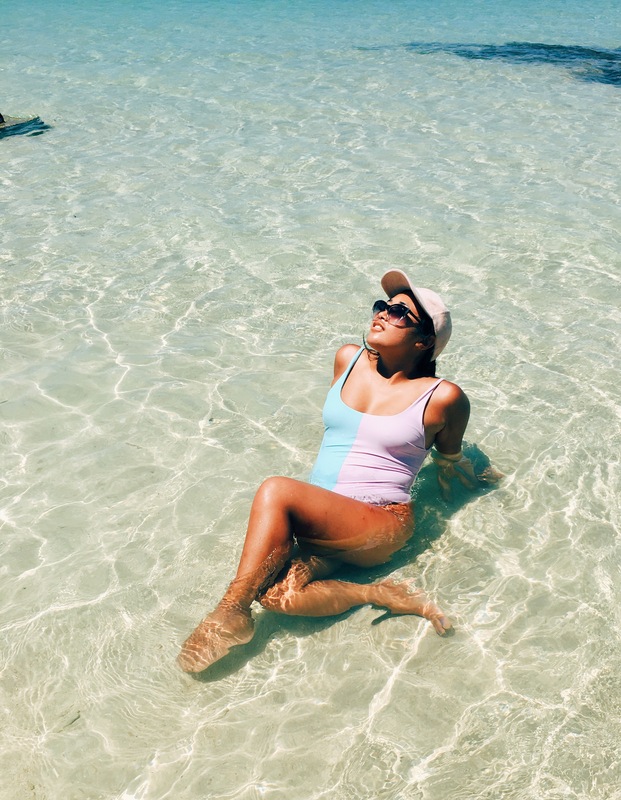 Budget travel hacks to El Nido began circulating the internet and affordable flights to Coron can be purchased instantly. Today, people mostly fly to Puerto Princesa and make a beeline to El Nido. Recently, direct flights to El Nido became available, so that might even bring an even bigger decline to Puerto Princesa’s tourism. “Is it even worth it to spend some days there?”, people would ask me. I once stayed in Puerto Princesa for two nights following a trip to El Nido, but I was only able to visit the Underground River. I was curious though, and I’ve always been, about the islands of Honda Bay. I knew I had to come back and see it. And so I did. I went back to El Nido a month ago and once again I was flying to Puerto Princesa. 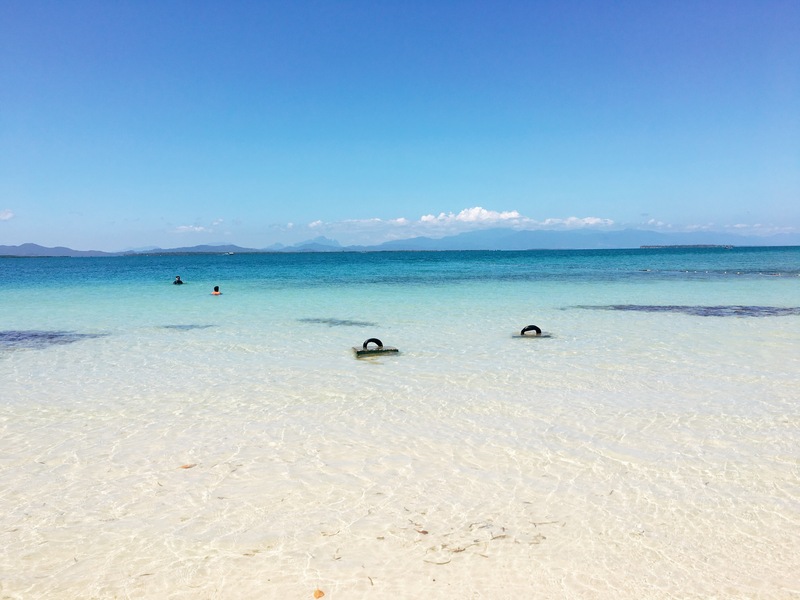 I was originally interested in going to Port Barton at first, but after hearing the negative impression it left on my friend, I’ve decided to skip it and spend a couple of days in Puerto Princesa instead. After all, you can never have enough island hopping trips in your life. So on a beautiful Monday morning, Northern Hope Tours picked me up from my hotel (READ: Panja Resort Palawan) and off we go to the islands of Honda Bay. Having Northern Hope arrange the tour was a huge weight lifted off my shoulders. Everything was taken care of by them, from pick up, lunch, boat, and drop off. They saved me so much time. It was an uncomfortable day, and the night before was even more so. I broke out in an allergic reaction from an insect bite, most likely a sand fly, and I’ve been in pain and miserably itching all over like a maniac. Not to mention the pustular state they’ve all been turning in to, and at this point, I had at least 7 all over my body. It was gross alright, and although this seems to happen to me more often than before (the same thing happened the last time I was in Palawan), I was determined not to let it ruin my day. The goal was to avoid infecting it, all the while making the best of my day in Honda Bay. It wasn’t as easy, I’ll tell you that. But that’s one of the unglamorous realities of travel you don’t always see. Upon reaching our boat, we were informed that we will be having three stops for the day– Starfish Island, Luli Island, and Cowrie Island. I later on learned that there used to be a total of five stops, two of which are unfortunately not available at the moment. 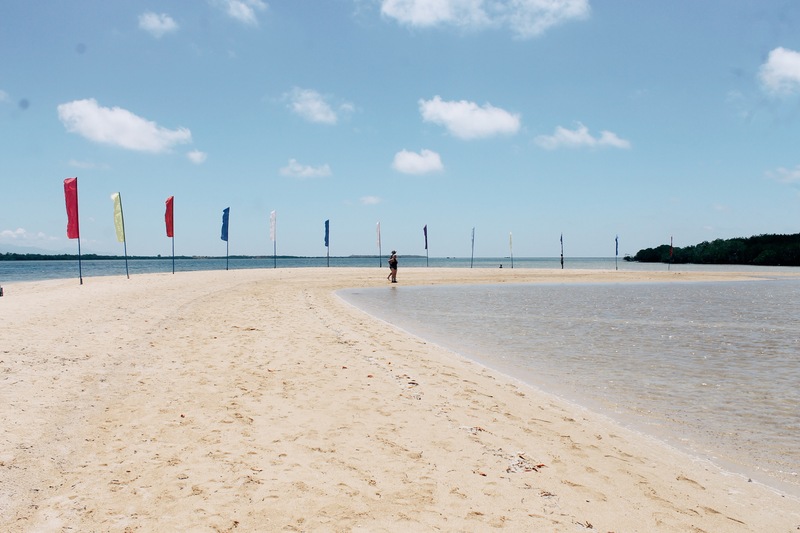 Snake Island, supposedly a beautiful sand bar in a shape of a curvy snake, is temporarily closed to the public for environmental reasons, while Pandan Island, supposedly the best island, is now privately owned. That was a bit of a bummer, but the good news is that we get to stay longer at each island. First stop was Starfish Island. I wasn’t particularly enthralled. Incidentally, it was named so for its abundance in Starfish, but none of us saw one. Everybody went snorkeling except me, which probably altered my experience and impression. When you have inflamed pustular wounds, it’s pretty hard to get comfortable. The island itself wasn’t quite alluring, not even with its rocky charm. It was pretty basic and it didn’t feel like I would be missing out if I went back to the boat, so I did just that. Don’t feel sorry for me though because I was definitely relaxed by then. Luli Island is my favorite of all the three islands we visited. There’s a sandbar situation going on, although it isn’t necessarily a sandbar. Luli Island is actually named after its occurrences of sinking and rising with the tide. It’s a pretty cool island with a bit of snorkeling activity available and the water is beautiful that you can waste hours just swimming in the water. Of course that wasn’t the case with me thanks to my beautiful, timely allergic reaction. I still had a great time walking along its sandbar so no need to feel bad for me. Not that the sun itself didn’t irritate my bites, but I’m fine. I guess. Cowrie Island was the biggest of all three, and I hated it the most. It was just this big island, completely modified to fit the needs and comfort of tourists. There’s a big hall for lunch filled with tables and chairs– kinda reminds me of island hopping in Phuket and eating lunch in the most touristy way. Watersport activities are offered in the island such as Banana Boat and Jetski. I wasn’t keen on doing either of that so I was relaxing at our hut most of the time. We had a lunch buffet that served a variety of Filipino food, which pretty much had me bloated and kept me full the entire afternoon. Thank God for the comeback of onesie suits. 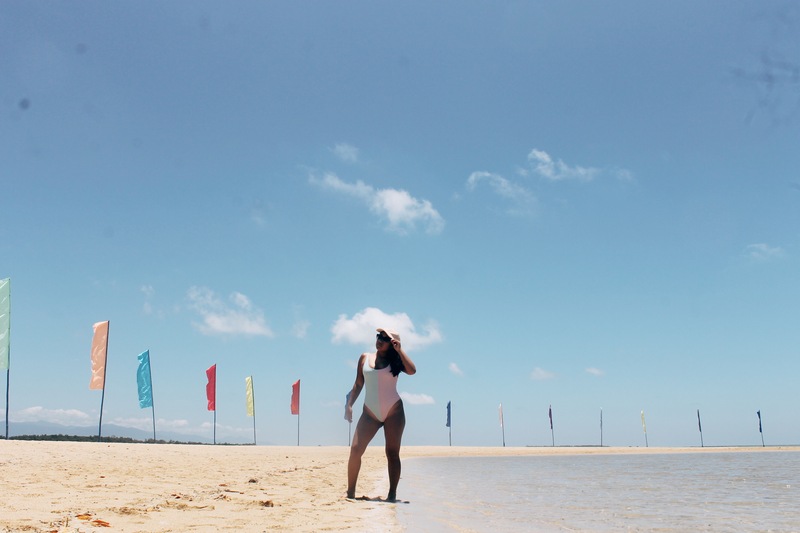 What I loved about Cowrie Island despite its tourist-oriented vibe is that it’s still a beautiful island with powdery white sands and gorgeous blue water. Numbers of palm trees and coconut trees are scattered all over the island, a vibrant reminder that you are in the tropics. I couldn’t resist going for a swim. At one point, I’ve forgotten about my bites. But of course that lasted for like 2 minutes because I started itching again. The saltwater probably helped dry my wounds though, but it was incredibly uncomfortable when I got out of the water. 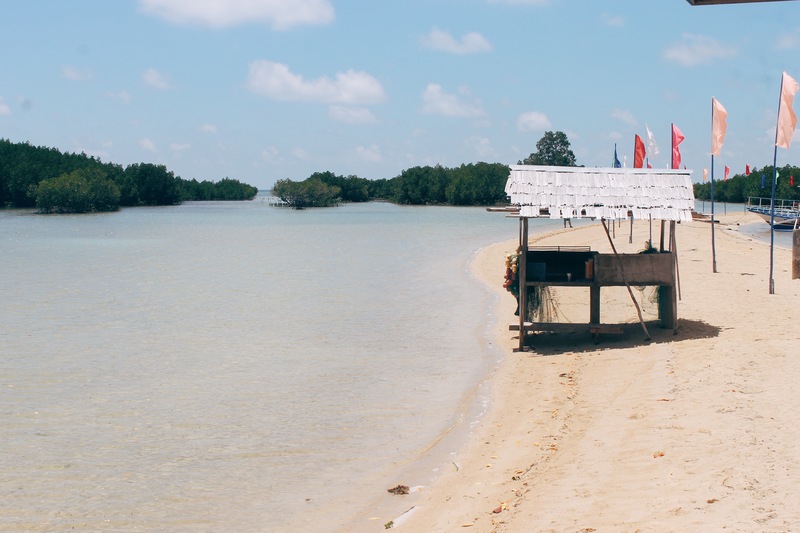 Our day ended in Cowrie Island and as we were driven back to our resort, I couldn’t help but wonder about the future of Puerto Princesa’s tourism. I had a great time, everytime I’m in the ocean exploring islands, it’s guaranteed fun for me. But not everyone feels that way, as proven by the tourists making a beeline to El Nido. Perhaps once the other islands becomes available for island hopping once again, it will get its enticing mojo back. The three islands are wonderful, alright, but it lacks something– the raw Filipino island feel to it. With so much modifications and structures built especially in Luli and Cowrie Island, it lacks that authentic appeal. Still, Honda Bay is beautiful. Will I go back? Probably not. Am I happy I did it? Absolutely. Disclaimer: Thank you so much to Northern Hope Tours for arranging our island hopping activity. Everything was done to our convenience! As always, all opinions, thoughts, and photos are my own. I only recommend things that I know will be great for my readers. Oh no I can’t imagine being allergic to the heat! How do you deal with it? Love this blog post! 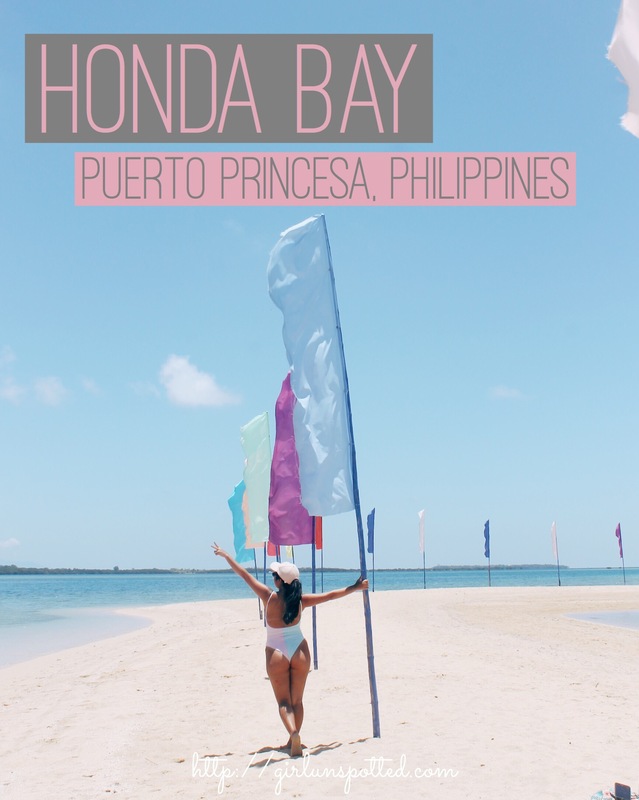 We didn’t manage to get to Honda bay when we were in the Philippines, will definitely try next time though – it looks incredible! Thank you! Philippines has so many beautiful spots that you really need a good amount of time to fully experience it.